If you, like a lot of people, have been trying to cut back on coffee or really can't drink it at all, you might be looking for a way to be alert without it. It's much healthier, actually, to work in alignment with one's natural rhythms so you have the energy to both get things done when it is called for and rest when you're done. Unfortunately, some of us feel pressure from society or, more often, because of personal emotional patterns and belief systems to work way too much, to push past our limits and just keep going! 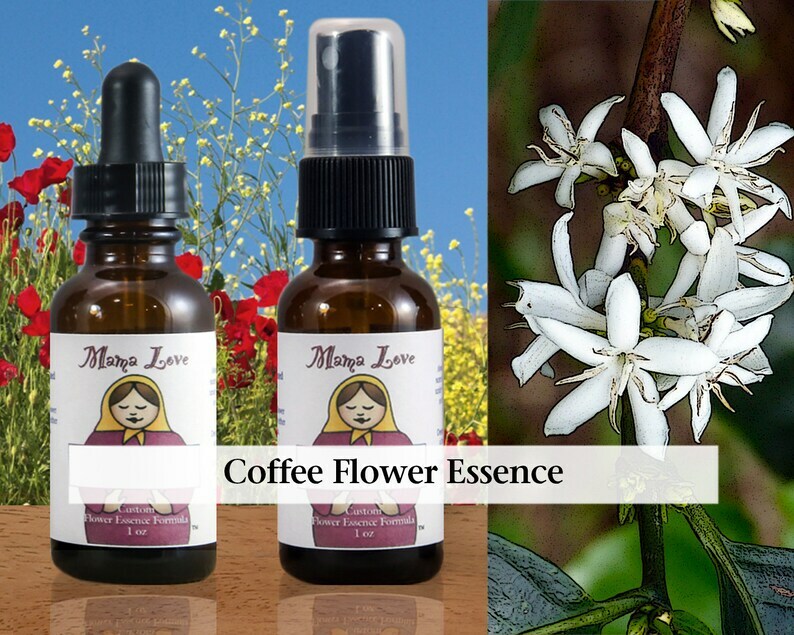 Coffee Flower Essence can help you be focussed and alert without going past your healthy limits. It can help you let go of patterns that keep you trapped in thinking you need caffeine to get through your day. That might mean you'll work more efficiently when you work and rest more effectively when you're not. My experience with it: I'm still working with this flower essence! But I can tell you that the first time I tried it I felt like my energy system was being cleared from the third chakra down, leaving me feeling more grounded, and then from the third chakra up, leaving me feeling more clear. The second time I used it, an hour or two later, I felt the energy clear upwards again and felt more alert. I did not feel amped up! But neither did I feel lethargic. I focussed on what I had decided to get done relaxedly and happily, and it felt good. The third time I used it, again that same day after I had most of my work done, it helped me feel even more relaxed and yet still alert and happy. I very much liked the combination of feelings. I felt decisive about finishing what I was working on but not worried or concerned or like I was pushing myself to get it done.